There are about 850,000 people with dementia in the UK, and the number is expected to rise to more than one million by 2025, according to the Alzheimer’s Society. The term dementia covers various brain disorders that trigger a loss of brain function. These conditions are all usually progressive and eventually severe. Alzheimer's disease is the most common form, affecting 62% of those diagnosed with dementia. Staff working with people with dementia need additional training in the condition, the National Institute for Health and Care Excellence (NICE) says in its first update in a decade to guidance on dementia care. It calls for more face-to-face training for health and social care staff, and for people with dementia to be involved in discussions about their care. The Alzheimer’s Society describes the new guidance as a ‘starting point’ but says more support is needed for the recommendations to become reality. Symptoms of dementia include memory loss, confusion and problems with speech and comprehension. It can cause depression, anxiety, loss of concentration, behavioural changes, difficulty with familiar tasks and aggressive behaviour. Age is the biggest known risk factor for dementia, and some genes place people at higher risk. Women are at higher risk than men of Alzheimer’s disease. People from some ethnic groups seem to be at higher risk, with of south Asian ethnicity more likely to develop dementia – particularly vascular dementia – than white Europeans. Smoking, drinking too much alcohol and having high blood pressure all increase risk. Taking regular physical exercise appears to be the best way to reduce risk, research suggests. Everyone with dementia should have a care and support plan. They should be offered early and ongoing opportunities to discuss the benefits of planning ahead, lasting power of attorney and an advance statement about their wishes, preferences, beliefs and values regarding their future care. 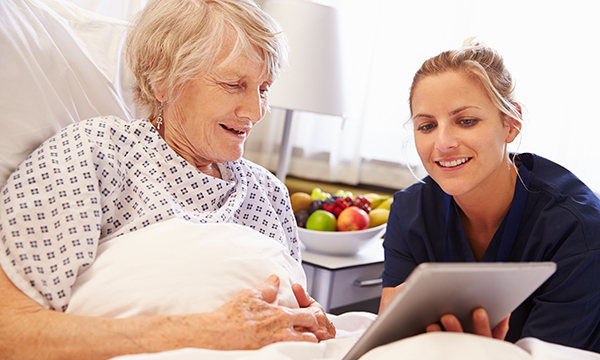 Care providers should give staff additional face-to-face training and mentoring. This should cover promoting freedom, minimising use of restraint and safely reducing the use of antipsychotics. Individuals should be offered a range of activities to promote well-being that are tailored to their preferences. Staff should offer group cognitive stimulation therapy and consider group reminiscence therapy and cognitive rehabilitation for people with mild to moderate dementia. ‘The updated NICE dementia guideline sets out clearly how someone should be supported through and after diagnosis. This includes access to a named person who will coordinate care, an individualised care plan including support with advance care planning, and managing co-morbidities. It also includes access to a range of psychological interventions and activities, appropriate pharmacological treatment, support with transition between services, flexible palliative care support and dedicated support for family carers. The training recommendations are positive but we need to ensure that training is good quality, relevant and supported in practice by those with specialist expertise and leadership positions.